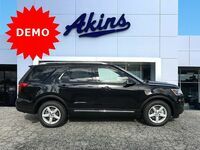 If you don’t think a new Ford Explorer could take you on the ride of your life – an experience akin to what you feel while cruising down the open road in a new Ford Mustang or a new Ford Focus RS – then have we got some great news for you. 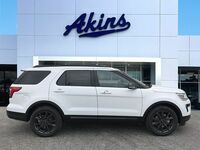 Following in the footsteps of the 2019 Ford Edge ST – which was the first-ever new Ford SUV designed, engineered, and built by the dynamic driving experts of the Ford Performance Team – comes the all-new 2020 Ford Explorer ST. And we’re going to have it right here at Akins Ford near Athens, GA, sometime this summer. 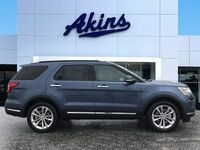 But since we know the wait is going to be an agonizing one, we’re using this model information page to let you know all we know about the all-new 2020 Explorer ST so that you’re ready to get behind the wheel of Ford’s most impressive, powerful and fun to drive new SUV as soon as it hits out lot. 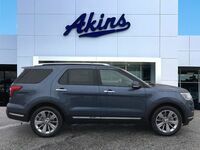 What Ford Performance Features and Capabilities are Included with the All-New 2020 Ford Explorer ST at Akins Ford near Athens GA? This is a new Ford Performance model we’re talking about here, so the only place we can really start our in-depth analysis is under the hood – so that’s exactly what we’re going to do. 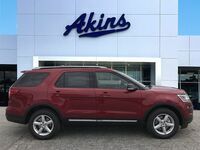 Now, the 2020 Ford Explorer ST’s power ratings of 400 horsepower and 415 pound-feet of torque are impressive in and of themselves, but they’re not wholly out of this world when you consider how powerful new Ford Explorer lineups usually are. 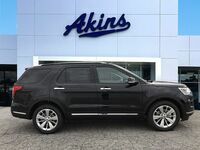 The thing that really sticks out, however, is the fact that the 2020 Ford Explorer ST features a top speed of 143 miles per hour – something that is wholly out of this world when you think of a new Ford Explorer. And all of this is thanks to the 2020 Ford Explorer ST’s 3.0-liter EcoBoost engine. An impressive powertrain has to be made up of more than just an impressive engine, though. 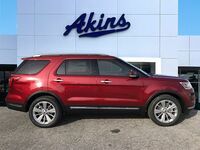 And, as you surely guessed, the 2020 Ford Explorer ST is more than just an impressive engine. In fact, it also boasts a 10-speed automatic transmission with quick-shifting capabilities, to go along with an all-wheel drive system complete with selectable traction control technology. And if you want even more out of your 2020 Ford Explorer ST, you can choose to add on the available ST Street Pack and/or the available ST Track Pack. 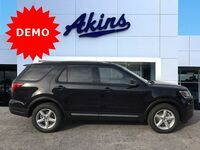 If you’d like to learn more about the 2020 Ford Explorer ST, please reach out to our staff here at Akins Ford near Athens, GA.